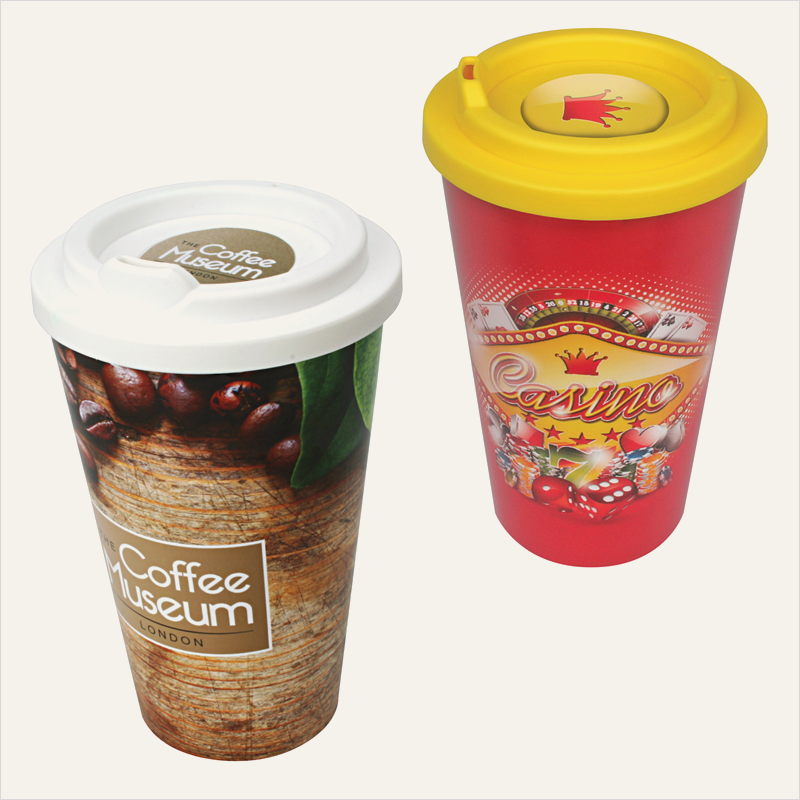 Double wall insulated plastic mug with full colour wraparound print. 500 minimum order quantity. Stock mug colour: ice white. Stock lid colours: midnight black, navy blue, ocean blue, grass green, fire engine red,ice white and sunshine yellow. Other lid colours available on quantities of 1000 units or more: royal blue, chocolate brown, steel grey, lime zest, citrus orange, blush pink and berry purple. Diswasher tested, 50 cycles @ 65˚C with no change.